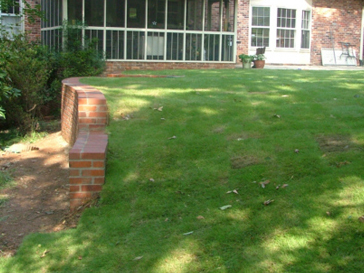 October 2006 we were awarded Pugmire family’s project. 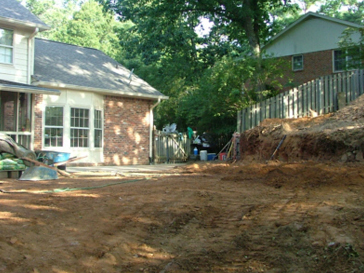 Mr. Pugmire designed the project and we did our take off. 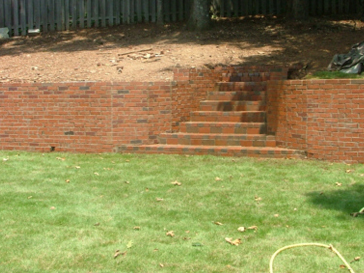 This project was built as specified by the customer. 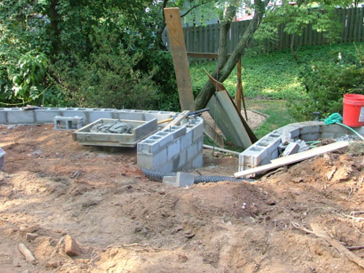 We used a concrete footer, concrete center blocks, rebars, dead men for support, and bricks. 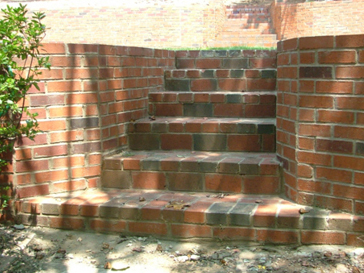 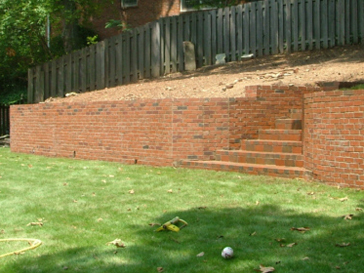 Below is the lower brick retaining wall. 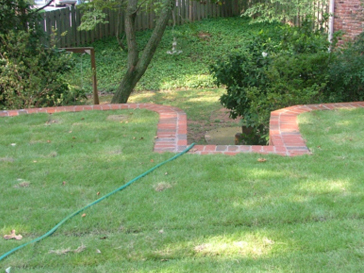 Proper drainage was installed with gravel and perforated pipes. 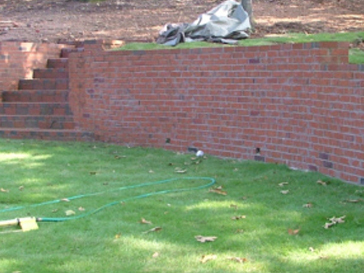 We built two brick retaining walls with center steps, Flagstone patio, and new Zoysia sod was installed. 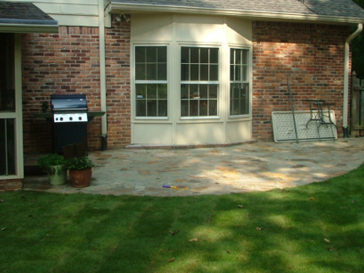 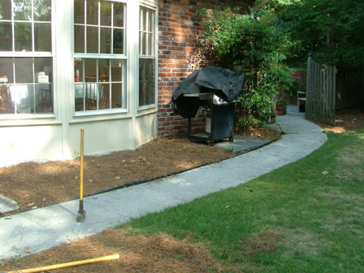 Natural Flagstone patio as specified by customer – Zoysia Sod.